What's up, you happenin' Friday people? I know this week's theme is actually 5 Magical Items I Would Love To Own, and while I could take the term "magical" literally and list things like magic wands and cute accessories from Sailor Moon, if taken figuratively the theme reminds me of my Wednesday Wish Lists, which I already do once a week, so I thought I would jump back a week and indulge in a little story telling with you guys. 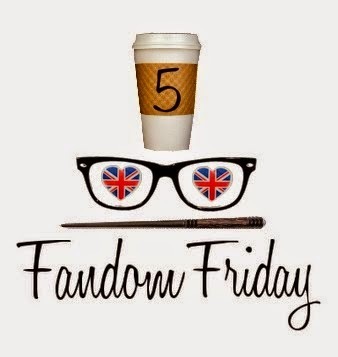 Time to share with y'all some major fangirling stories - here we go! #1: The Very First Convention I Ever Went To! This might be an obvious fangirl moment for anyone, but it's still something I'll never forget. Anime North 2009, I was 16 at the time. 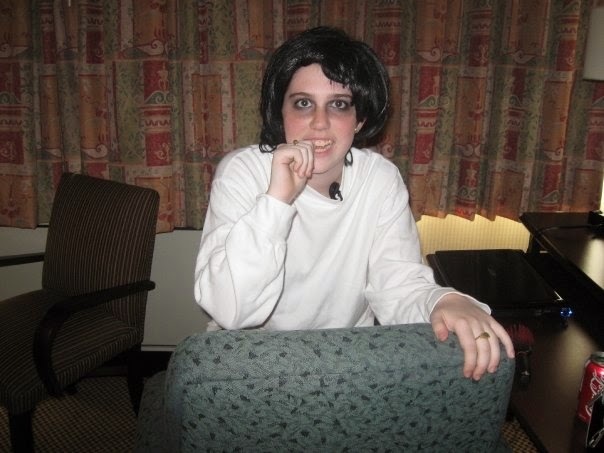 The only real cosplay I had was of L from Death Note made up of a simple white shirt, jeans and the black wig that I borrowed from one of the co-founders of the Manga Club at my high school. I also had a voice changer so that my voice sounded like L when he was still just a voice from a computer. I used the voice changer near two con-goers that approached us. They squealed so loud and then hugged me XD That whole weekend was amazing, and now I try and attend Anime North every single year, and it keeps getting better and better. #2: When my RP Partner `zona Sent Me This Poster! The only concert I've ever attended was to go and see The Pretty Reckless in November 2013 with my sister-in-law. I've been obsessed with TPR and Taylor Momsen for a very long time, and it was a great experience. A month earlier, my RP partner that I've known for years, that shares in my obsession, got to seem them perform live too, only she also got to meet the band and get a signed posted . . . which she sent to me :) I flipped out when I received it, there was some major squealing involved. Now it's framed and I don't have it hanging up yet but I'm going to bring it with me to my dorm and hang it up there. #? : When I found out Flipped was being turned into a movie! It was just a typical day at work, where I was putting away stock from the cart and onto the shelves. Pretty sure I was working with Candace that day, who doesn't work at the store anymore but who still comes in to visit from time to time, she's really cool people. Anyway, I must've gone into the back room to get more stock or something, because I happened to see a stack of these books and I picked one up. 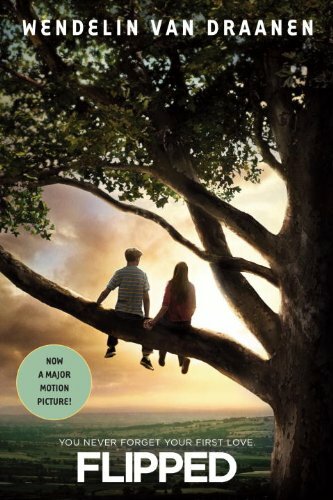 Flipped is a book I read in 7th grade and years later couldn't correctly remember the title, I kept thinking it was called Twisted or something. But I saw this and even though it wasn't the cover I remember it clicked. And then I saw where it says "Now A Major Motion Picture." I literally started jumping up and down, and I'm pretty sure I ran right over to Candace to tell her even though she probably didn't care as much as I did. But I was so happy! 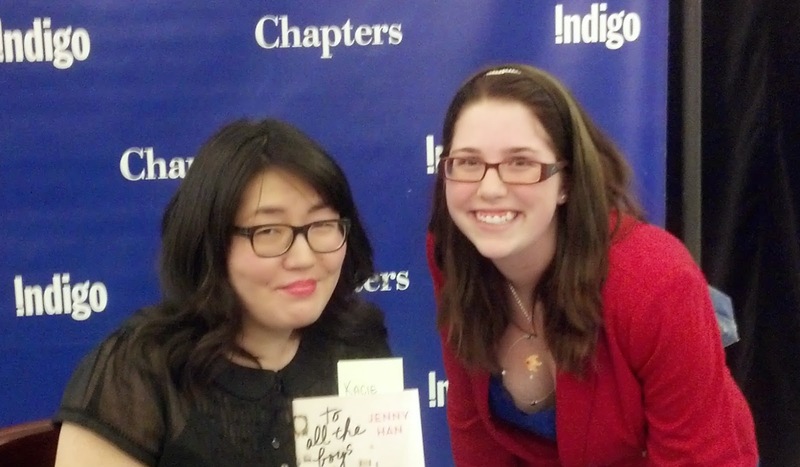 #4: When I Met Jenny Han! It's true that Jenny Han isn't the first author I've met - before her my high school was lucky enough to have William Bell come visit and to read from his newest book, which was an amazing experience. And earlier this year I was lucky enough to meet Brooke Davis in Toronto. The reason I'm including this reading and Q&A event in Brampton is because I never thought in a million years I would actually get to go. Brampton is a pretty decent drive away from Welland, and there aren't any buses that go there from Welland or St. Catharines, plus even if there was I'd have to figure out how to get to the local Chapters bookstore. But my boyfriend at the time (ex #7 from my Valentine's Day post) knew that it was something I was interested in and he offered to drive me, even though it was quite the distance and there really wasn't anything in it for him. I had my copy of To All The Boys I've Loved Before signed, and I got a picture taken with Jenny Han. But a big chunk of my excitement that day was from what my boyfriend had done for me. #5: WHEN THIS HAPPENED!!! This is probably self-explanatory, but I'm gonna share the story anyway XD So this past year I went to Fan Expo for the first time with Blair, my friend from Brock University. The convention went from Thursday to Sunday, and it was incredibly fun. On the Saturday, Blair and I got in line to get the photo we'd split the fee for in order to get our picture taken with Nathan Fillion. I'd recently become a huge fan of Castle and really wanted to meet him. I think it would've been cool if I'd gone to his Q&A too, but that can happen next year. For now, I have this picture framed in my living room, and I'd be remiss if it didn't come with me when I move to Toronto. OH MY GOD I LOVED FLIPPED TOO. IT WAS THE SWEETEST THING EVER. Ugh I totally freaked out when I saw I could watch it on-demand. what a great book.